Carlsbad, Ca is my home town and I could not love it more. While we are now living in Riverside County, my family still gets to enjoy the beauty that is the entire San Diego North County area. This is the area where we spend most of our spring breaks, small vacays and these are the beaches we always go back to. 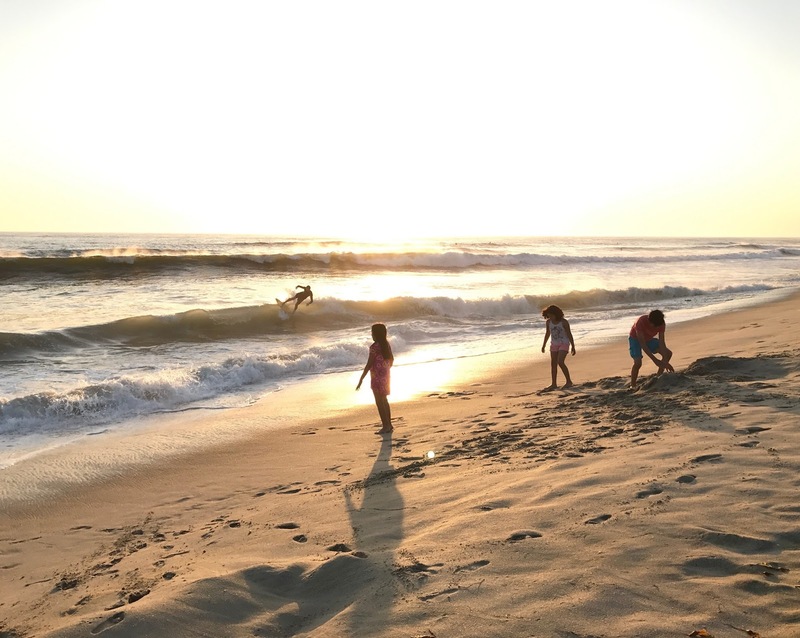 While we usually visit Oceanside Beach more, Tamarack Beach, now called Carlsbad State Beach is my favorite place to let the kids play a while. Even through all the years that have passed since we lived in North County, not much has changed, besides no more free parking (ugh). Tamarack Beach is great beach to visit with kids: it's not as crowded as the Oceanside area and there is a bathroom super close by. Plus, the vibe is still that same laid back and casual style that it's always been, and so much more peaceful than O'side. If you haven't stopped by Tamarack Beach on a trip to San Diego, I definitely suggest stopping by. Bring a cup of warm coffee, hot cocoa, a blanket and enjoy watching the sunset at one of the coolest beaches in San Diego county.